This new generator is now ready for shipping! 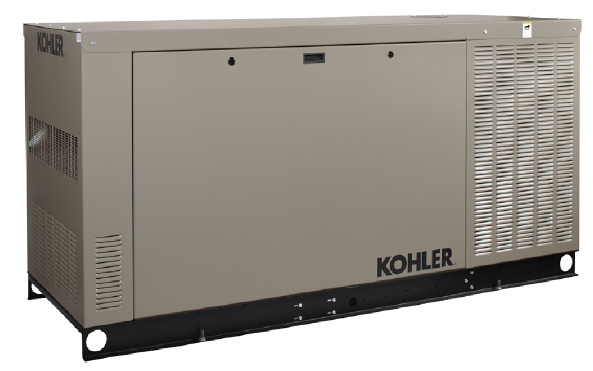 This is a home run for Kohler generators because they have now filled the gap between the 20RESA and the 38RCL. The Kohler 24RCL features a liquid cooled Kohler in-line 4 cylinder engine that runs at 1800 RPM. It is super quiet with a DB level at 61. The alternator features a brushless permanent magnets with a high heat rating which allows it to carry 300% of the load for 10 seconds. This is ideal for heavy in rush currents when motors are powered up. This alternator can be configured for different power configurations for residential or commercial applications. The enclosure comes in aluminum or steel.